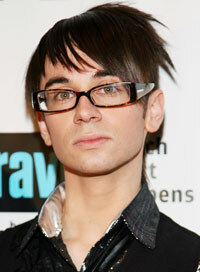 And just for fun, perhaps the fiercest hair of all: Christian Siriano’s. He explained his famous ‘do as follows: “This is party (left side of hair), this is business (right side of hair), and this (points to face) is the money maker!” — Christian Siriano. Take serious (emphasis on the “ssssss”) notes girls.